The game has been an industry whipping boy since its release last month. You may be asking yourself; "Is this some sort of free offering as a reconciliatory gesture from Gearbox and Sega?" Nope. It's paid DLC. This will cost you $15 bucks, unless you splurged for the season pass. Ouch. Recent patches may make the game more tolerable, but I'll never know. I denied delivery of my copy at the door. I have plenty of games in my backlog that are actually representative of the demo versions I originally played. 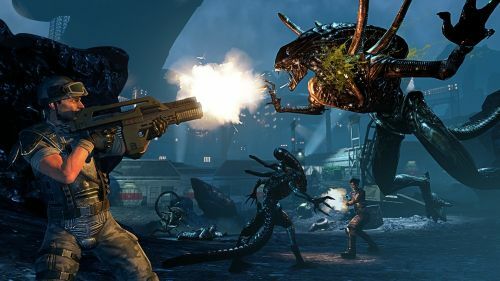 Aliens: Colonial Marines supports two player local co-op on consoles and four player online co-op on both consoles and PC. It's out now on the Xbox 360, PlayStation 3 and PC. It will be coming to the Wii U eventually.